The ruthless killing of a foreign nobleman plunges Kasper Stark, an enigmatic young officer, into a perilous maze of treacherous intrigue and two-faced diplomacy. A thrilling new series by the Amazon best-selling author of Fairchild. Vienna, 1814. As the powers of Europe gather to negotiate peace, there’s little to be found for Kasper Stark, working for the chief of Austria’s secret police. In a city rife with schemes and double dealing, every prince and every lady’s maid is spying or party to some plot. Good English families all have a house in the country with a deer park, a trout stream, and an army of gardeners. They should have a son and if it can be managed, he should be handsome. Cleverness isn’t important. Daughters in limited quantities are fine so long as they are pretty. Bastards are inconvenient and best ignored. It's not a big problem, unless you are one. Mary Buchanan has bigger worries than the radical journalist living next door who's spoiling her father's digestion. Her sickly aunt is a champion complainer, her father distracted and irritable. 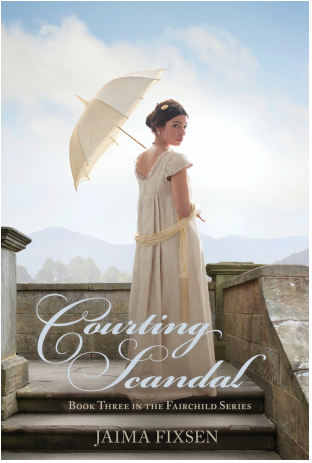 The footman she's loved secretly for years has fallen for the housemaid. Surely there must be something more for her than copying letters and fetching pills for Aunt Yates. Then she meets that reforming gentleman, the radical Samuel Brown. Destiny has come for her at last - if she can just get Mr. Brown to realize it.